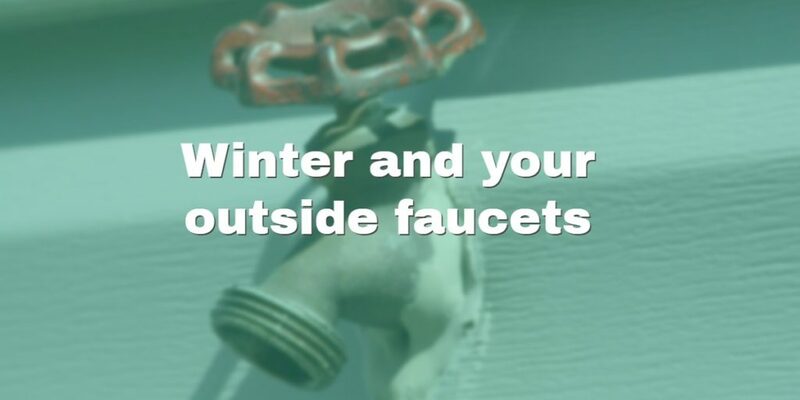 What you should know about your outside faucets this winter. Well, Autumn is officially underway now. That means we’re staring down another winter, just waiting for mother nature to throw a blizzard at us (which could happen any day here in New England). While I’m sure you have plenty to do before deepest darkest wintry doom descends upon us, I have a couple of extra things for you to think about besides winter fashion, furry boots, and shoveling snow. If you have conventional exterior faucets (AKA sillcock, hose bib, exterior spigot, etc. ), you should have a shutoff valve inside which should be closed before freezing temperatures hit. Freezing water expands with amazing power (it can split huge boulders over time, and you can see every year what it does to the roads) and it will almost certainly break your faucets. Please be sure to open the exterior spigot to allow it to drain after closing the inside valve and reclose it to keep the cold air out of the pipes (this last bit might be superstition, but it can’t hurt). 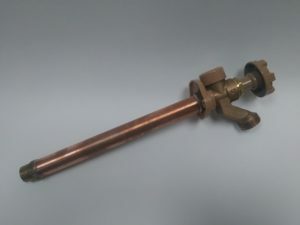 To facilitate this procedure the piping to the spigot should be pitched slightly to the outside, or water could be left inside and crack the spigot or pipes anyway. While you’re shutting off and draining your outside spigots, be sure to remove any hoses. 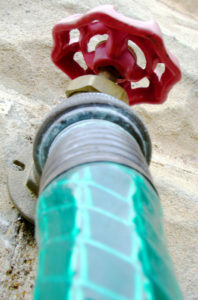 If you leave a hose on the spigot, it can keep it from draining and the water inside could freeze and crack or split your spigot and as an added bonus split the hose as well. A modern convenience to help with all of this is a frost free sillcock, which on the outside looks much like a regular exterior faucet, but the actual valve is inside the house or basement attached to the faucet handle by a shaft as long as 16”. It’s critical that these faucets be installed properly pitched to the outside or they may hold water and crack during cold weather like any other faucet. They must also be installed so that the valve is in a heated or controlled temperature space (basements usually stay around 55 degrees year ‘round, but a crawl space could be problematic) and adequately sealed and insulated. And don’t forget to take the hose off, or you’ll negate the advantages you paid for in the first place. So, if you don’t have a frost free sillcock, don’t forget about the coming winter freeze; close the inside valve and drain the faucet, and either way remove those hoses! It’s best to deal with this early so you’re not looking for a plumber in a hurry because there’s water spraying all over the yard in the middle of winter. Winter is bad enough without added disaster!